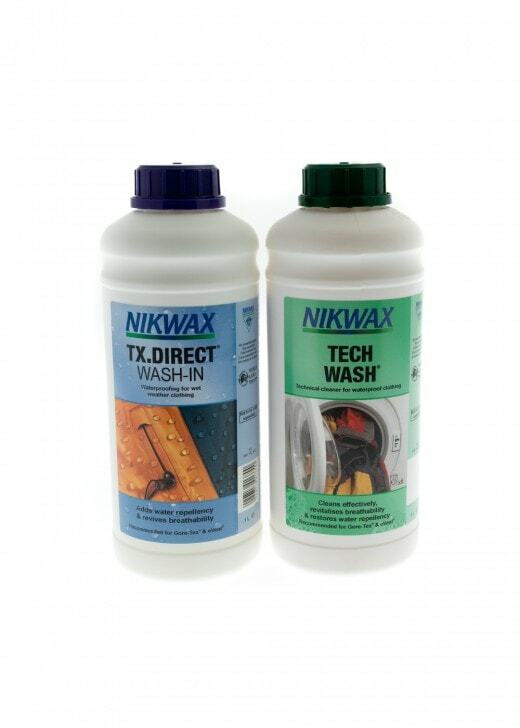 The Nikwax Tech Wash and TX Direct Wash-In is a twin pack of highly effective products to keep your outdoor clothing in top condition. The Nikwax Tech Wash and TX Direct Wash-In is a twin pack of highly effective products to keep your outdoor clothing in top condition. The Tech Wash prolongs the life of your clothes and optimises outdoor performance while the TX Direct Wash-In adds and renews water repellency, revives breathability and prolongs the life of all waterproof clothing.